On a visit to Krakow last week, Nobel laureate Svetlana Alexievich spoke out in support of Tokarczuk, whom she called a “magnificent writer." 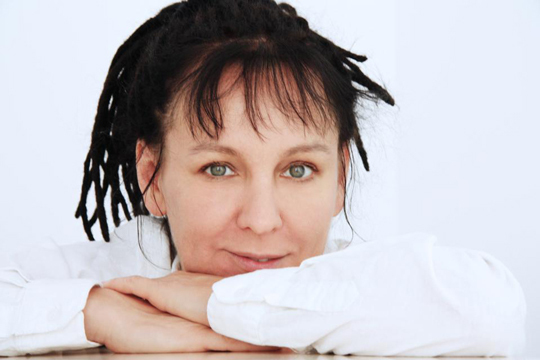 Acclaimed Polish writer Olga Tokarczuk (pictured) has received a steady stream of hate mail and even death threats after questioning her country’s view of itself as “an open, tolerant country.” As one person put it in a post to Tokarczuk’s Facebook page, “The only justice for these lies is death. Traitor.” Many agree that Tokarczuk’s “betrayal” must be punished; milder comments call for her expulsion from Poland. On a visit to Kraków last week, Nobel laureate Svetlana Alexievich spoke out in support of Tokarczuk, whom she called a “magnificent writer,” saying, “Some people would happily kick me out of Belarus in just the same way others are now calling for Tokarczuk to be removed from Poland.” While others have also expressed their solidarity with the author, the widespread outrage at Tokarczuk’s remarks has yet to subside. The remarks in question are taken from a television interview Tokarczuk gave shortly after receiving Poland’s highest literary honor, the Nike, on October 4. She was awarded the Nike for her latest book, Księgi Jakubowe (The Books of Jacob), a monumental novel that delves into the life and times of controversial historical figure Jacob Frank, leader of a heretical Jewish splinter group that ranged the Habsburg and Ottoman Empires and the Polish-Lithuanian Commonwealth seeking basic safety as well as transcendence. Tokarczuk’s twelfth book, considered by many critics to be her masterpiece, The Books of Jacob is also a suspenseful and entertaining novel that remained a national bestseller for months after its November 2014 release.